The item can show the magnetic effect of the electric current flowing in a circular conductor. With magnetic needle. The magnitude of magnetic field along the horizontal axis in Helmoltz Coils is measured with Vernier magnetic probe and LabQuest2 interface. Current in coils is generated by Variable DC Source. 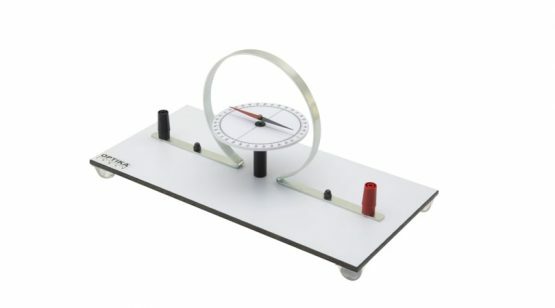 In this experiment the forces acting on a current carrying wire in a magnetic field are measured accurately with changing current , wire length and coil angle. Instruments Direct Services Limited is a Limited company registered in England and Wales. Registration Number 5092064. All displayed prices are exclusive of delivery & VAT. E&OE.